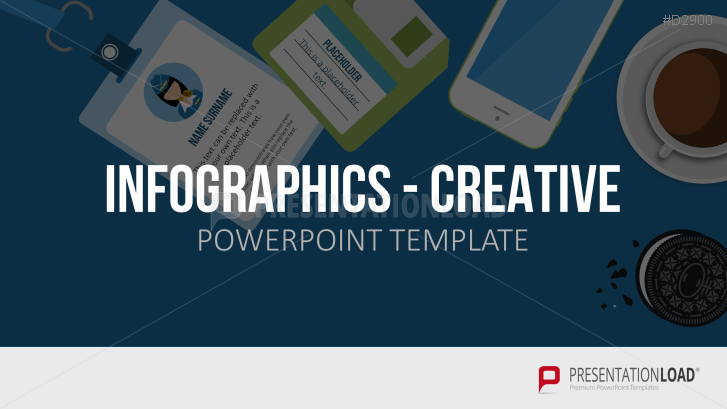 Be creative and build personalized infographics with our graphics collection for PowerPoint plus prefabricated layouts and banner formats. In this set, you will find several representations of technical equipment, cars, food, household utensils, houses, metaphors, animals, office equipment and much more in a modern flat design. You can combine any of these images to create illustrative infographics and provide text information in the preformatted placeholders. You can make connecting lines that can be distributed on multiple slides and linked to other infographics. In addition, banner templates are included, made in custom portrait format that replicate the infographics format, in which the viewer can scroll through the information from the top to bottom. Significantly greater in height than width, it enables you to arrange information visually, logically and clearly. The problem is above, the solution below- and in between all the steps using icons, facts and figures.